The second installment in my favorite book series. The second installment in J.K. Rowling’s magical series involves are same merry-band of youngsters, Harry, of course, Ron and Hermione, along with the same cast of interesting characters, good and bad, in Hogwarts’ gamekeeper, Hagrid (a giant), the ever-sniveling Potions master, Snape, Headmaster Dumbledore and in this installment, newcomers, Ginny Weasley (Ron’s younger sister), Lucius Malfoy (father of Draco Malfoy, Harry’s arch-nemesis) and Tom Riddle, a.k.a. : the younger version of Lord Voldemort, the darkest of dark wizards. Oh and how could I forget Dobby, the lovable, but unfortunately, enslaved to the above, house elf? He warns Harry Potter that he can’t return to Hogwarts because bad things are going to happen to Harry, so he tries to prevent him from going. But of course, Harry loves Hogwarts and wants to return. So he does. Duh. And then dark things happen of course because duh. The Heir of Slytherin, one of four houses that comprise Hogwarts (Gryffindor, Hufflepuff and Ravenclaw are the other three and derive from the names of the wizards that created Hogwarts) created a “chamber of secrets” where a monster lives because Salazar Slytherin didn’t believe Hogwarts should admit Muggle-born students, i.e., students that come from non-wizarding families. And lo and behold, Salazar’s heir is Tom Riddle, as in, Lord Voldemort, the guy that also believes in purifying wizarding blood and killing all Mudbloods (a derogatory term for Muggle-born wizards). So, the point being, this book is interesting for a few reasons: 1.) Getting the history of Hogwarts and how the houses came to be is interesting, along with weaving in this idea of pure blood. 2.) Getting to know more about a younger Lord Voldemort; he was a prefect (a student at the school that is in charge of each house), won awards and was generally considered the most brilliant at Hogwarts. 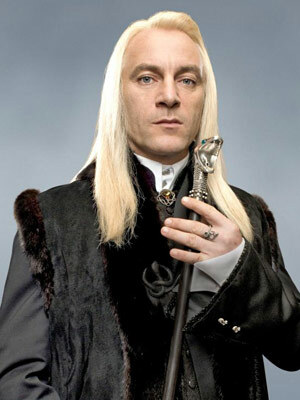 But, interestingly, he himself comes from a half-blood family. His mother was a witch and his father was a Muggle. He also was raised in an orphanage by Muggles. There’s a lot of similarities between him and Harry in this regard (they also both can speak to snakes), as well as there affinity for Hogwarts itself. 3.) We learn about Hagrid’s past. He was expelled from Hogwarts, as he was framed for opening the Chamber of Secrets 50 years prior when it was actually Tom Riddle. Lord Voldemort was so damned concerned with erasing his past that he became Lord Voldemort. His followers in Hogwarts at the time even called him that instead of Tom Riddle. And he put his 16-year-old self as a memory into a diary, which Lucius puts in the hands o Ginny Weasley, to which Lord Voldemort easily takes over her and controls her mind, getting her to open the Chamber of Secrets and victimize Muggle-born students at Hogwarts. 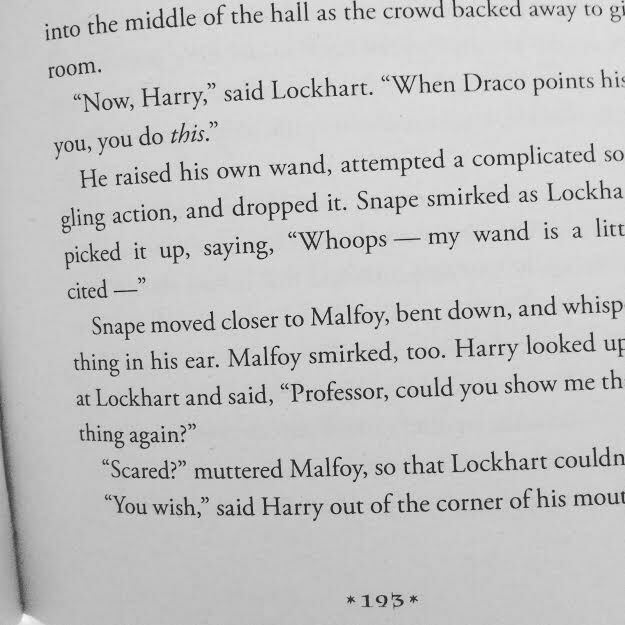 With three words (“Scared?” “You wish,”), we know everything we need to know about Draco and Harry. Draco is an arrogant piece of crap that thinks his pure blood and gold makes him superior to others and Harry is the ever-defiant underdog, ready to take on any challenge even though he’s only 12! It’s extraordinary. So much comes out of this book in later installments, mainly the obviously overriding theme of “pure-blood,” but also secondary issues, like Voldemort’s affinity for Hogwarts, him placing himself in a diary, his relationship with Dumbledore, the house elf enslavement issue, Ginny’s feelings for Harry, and so on and so on. It’s also not the last we see of Lucius, of course. And by the way, Tom Riddle’s full name, Tom Marvolo Riddle, is an anagram, i.e., it changes to I Am Lord Voldemort. Finally, there’s a scene in here where Harry, Ron, and Hermione use Polyjuice Potion, a potion that grants the drinker the body of someone else. That’s such an…interesting potion. All you need is the hair of the person you want to change into and you can do so for a certain amount of time, same look and voice. That presents so many questions. What if you got the hair of Dumbledore? Fudge (the Minister of Magic)? Hell, Voldemort himself?! Fascinating. Anyhow, on to the third book.